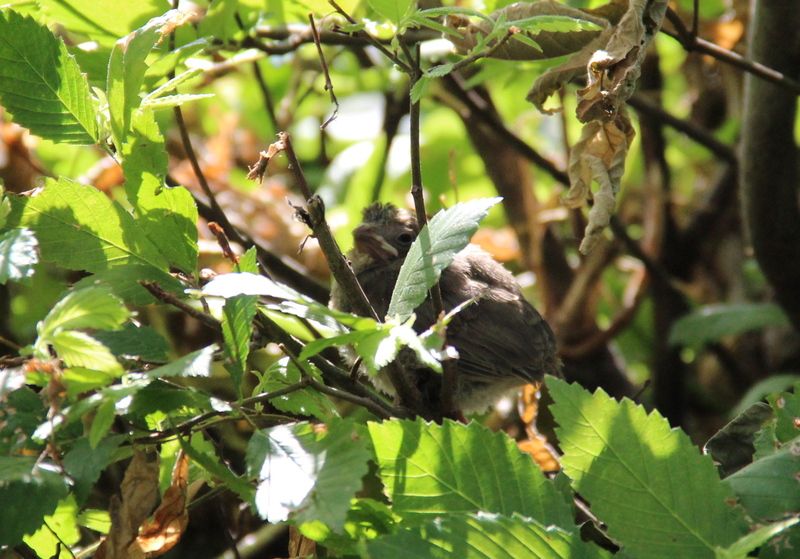 Early August and the neighborhood is filled with the calls, chirps and squeaks of the newest brood of baby birds. As I write, a baby cardinal sits in our hedge and begs for food. Its father plucks cherry tomatoes from a patio plant to feed it and chases away house sparrows that try to land anywhere nearby. 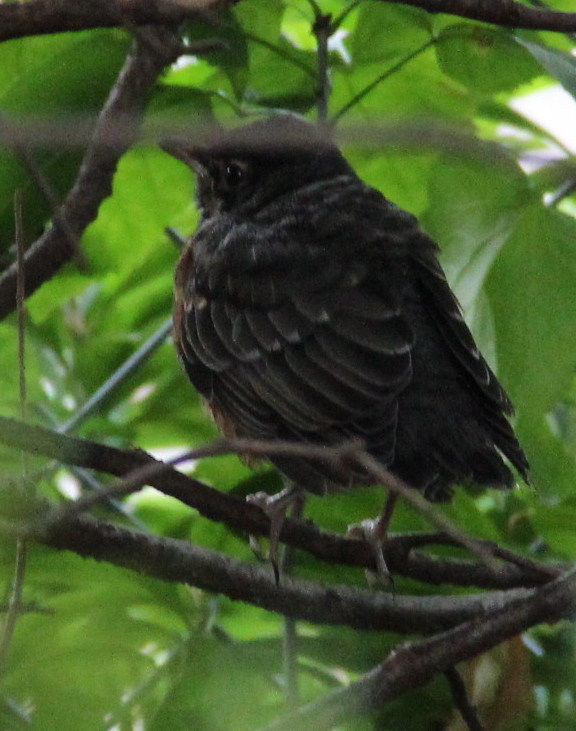 Robin parents feed their fuzzy chick under the shelter of an arbor vitae stand. An American goldfinch male now dines alone in the monarda patch; his mate probably incubates their eggs nearby. 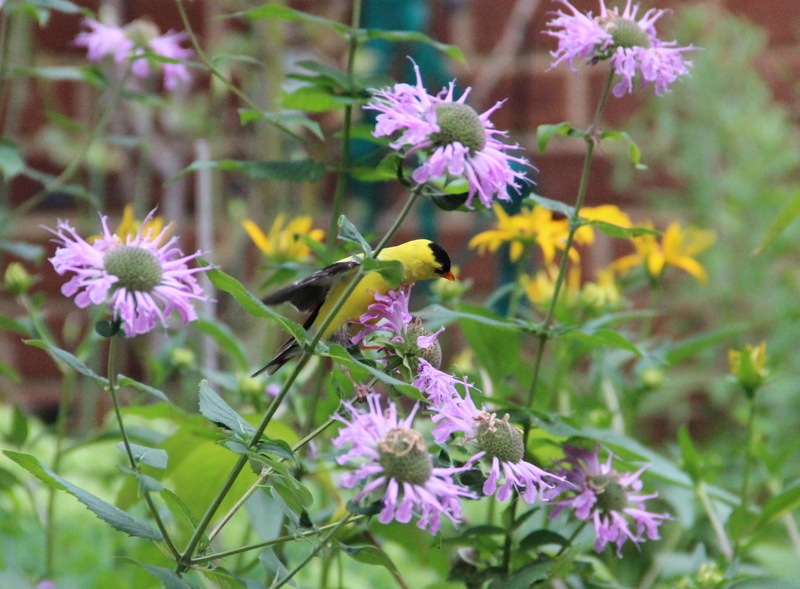 American goldfinch in native monarda. This entry was posted in Birds, Garden and tagged Baby birds, cardinal, goldfinch, robin, Saint Paul, MN. Bookmark the permalink.